The second edition of Primary Immunodeficiency Diseases presents discussions of gene identification, mutation detection, and clinical and research applications for over 100 genetic immune disorders–disorders featuring an increased susceptibility to infections and, in certain conditions, an icreased rate of malignancies and autoimmune disorders. Since the publication of the first edition, a flurry of new disease entities has been defined and new treatment regimens have been introduced, the most spectacular being successful treatment by gene therapy for two genotypes of combined immunodeficiency. The first edition marked a historic turning point in the field of immunodeficiencies, demonstrating that many of the disorders of the immune systam could be understood at a molecular level. 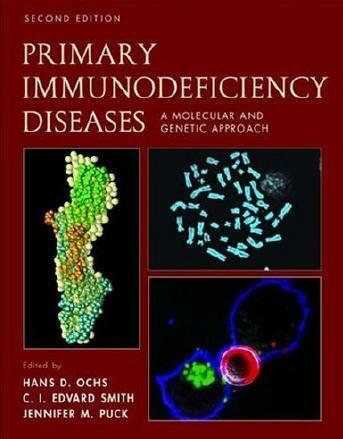 This new edition can proudly document the tremendous pace of progress in dissecting the complex immunologic networks responsible for protecting individuals from these disorders.